When the Mid-Norway Chamber of Commerce and Industry, along with Adecco, for the first time were awarding the new prize, the idea was to highlight the young and ambitious talents of leadership in region - who will be prominent in the business community in the coming years. - It has been inspiring to see how many proficient, young leaders we have in the region - the future looks promising! says CEO of NiT Berit Rian. - Must be younger than 40 years old. - Must have had leadership responsibility for a personnel of at least 5 persons, as well as being a motivator and having complex work tasks. - Must have been responsible for good results over time. 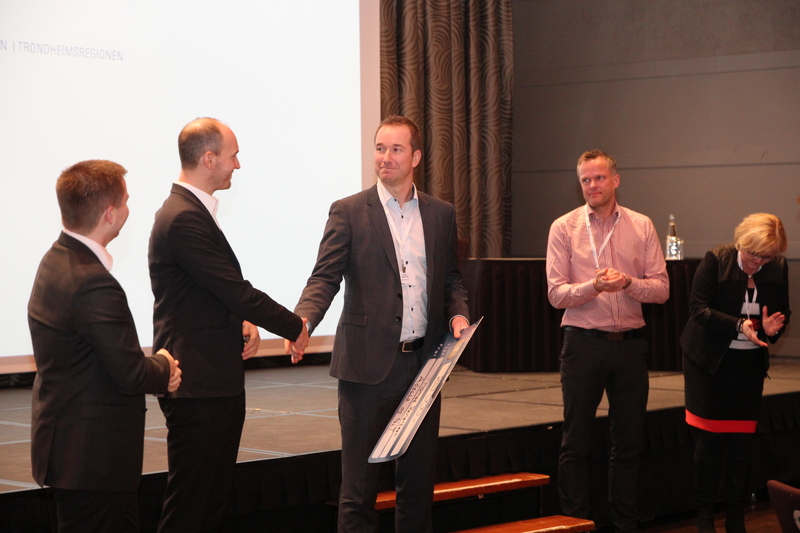 The winner, Thomas Reinertsen, is a well known figure within the industry community in the Mid-Norway region. At only 37 years of age he has made his mark for years in several different jobs where good leadership is one of the commanding qualities. All of this within the family business - which he joined after finishing his engineering degree in Aberdeen in the year 2000. The jury came to the conclusion that this year's winner has shown great ability in balancing leadership within a company with both high competence and production.